Quench your thirst with your favorite ice-cold, refreshing fountain drink. Choose from popular soft drink varieties or refresh with your favorite sports drinks, juices and more. Introducing NEW! Fresh Brewed Iced Coffee. Customize your guaranteed fresh iced coffee exactly how you want with FREE flavor shots and your choice of regular, lactose-free, soy or almond milk. Available in QuickChek Original Blend, Decaf and our Limited-Time flavor—Rainbow Cookie! Come in and Make it Yours. Smooth, bold and irresistible. Our Cold Brew is a custom blend of premium Guatemalan beans, slow-steeped in small batches for the perfect sip every time. Add a splash of sweet cream to make it one-of-a-kind. Refreshingly delicious and fresh brewed with our finest tea blends, all of our Iced Teas are made-to-order and poured over ice. Varieties like black tea, raspberry black tea and watermelon hibiscus available sweetened with pure cane sugar or unsweetened. Made-to-order and poured over ice for the perfect sip every time. Try one of our specialty varieties like the Blue Lagoon Lemonade—made with refreshing lemonade, swirls of all-natural blue curaçao syrup and dangerously delicious shark gummies. Available for a limited time. The perfect combination of dark, bold espresso and fresh milk. Customize your made-to-order Latte with your choice of milk, decadent flavors and toppings. Ice-cold sweetened milk, marked with a shot of fresh brewed espresso and finished with a double drizzle of rich, buttery caramel sauce. Buy 6 drinks, get 1 free with the app! 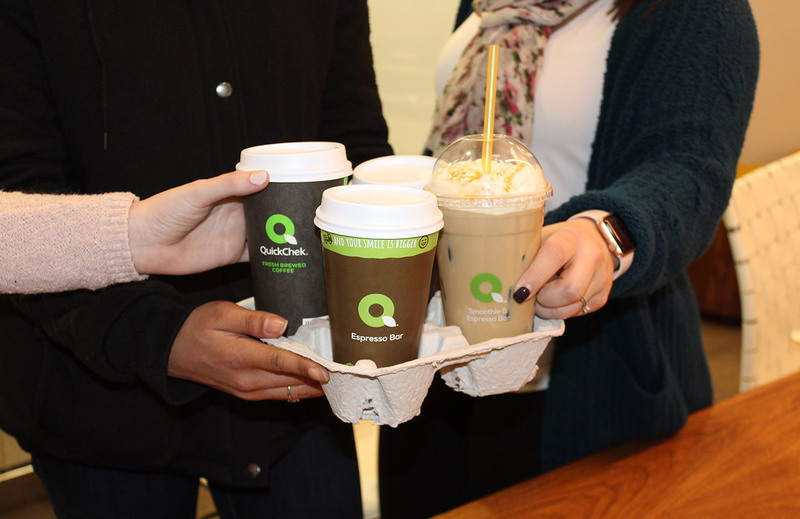 With Power Perks on the QC Mobile app, when you buy any 6 fresh brewed coffees or made-to-order drinks, get the 7th FREE. Download the free app today.